Native of Syria and residing in Beirut, Anas is EMERGEAST’s latest artist joining the selection of Middle Eastern talent on the platform. Anas brings to EMERGEAST’s portfolio an array of visually stimulating and dynamic subject matter. Apparent through his acrylic and mixed media works – a distinctive and recognizable brushstroke and color palette. 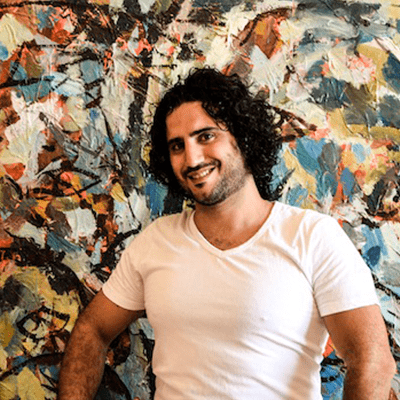 Anas has exhibited internationally, whereby his abstract creations are on their way to wide recognition. Check out Anas in our Artists pile for a full view of his latest work and achievements!